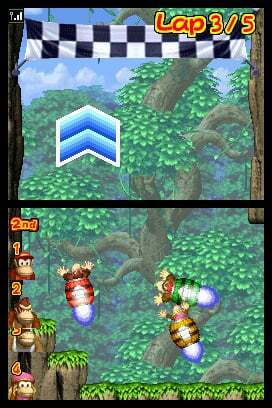 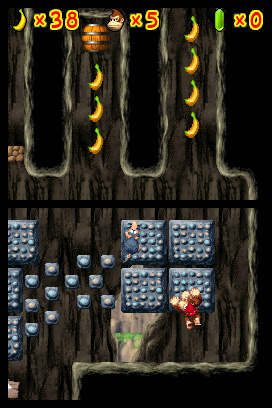 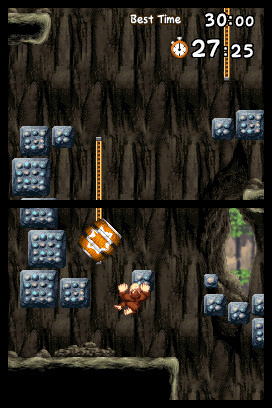 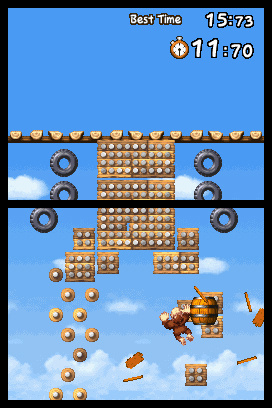 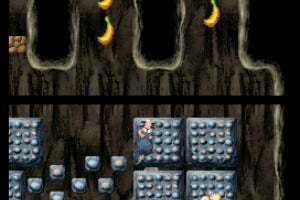 Get back into the swing of things as Donkey Kong goes vertical. King K. Rool is up to no good again, and it's up to Donkey Kong to swing into action. 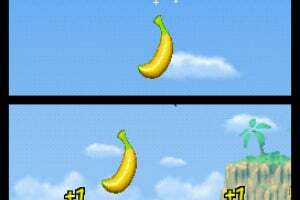 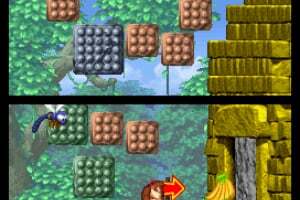 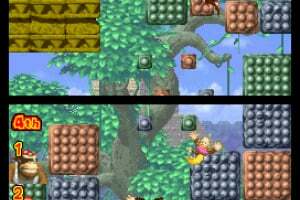 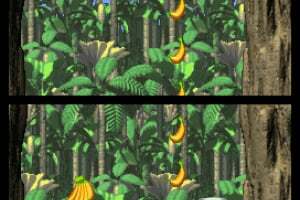 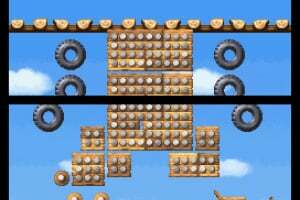 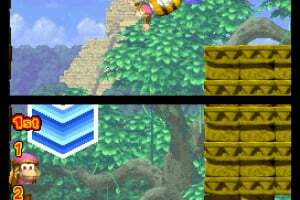 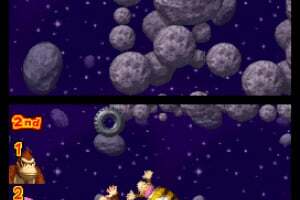 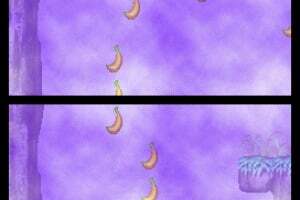 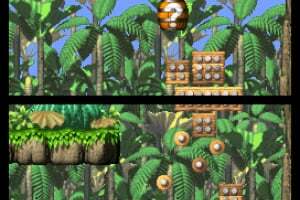 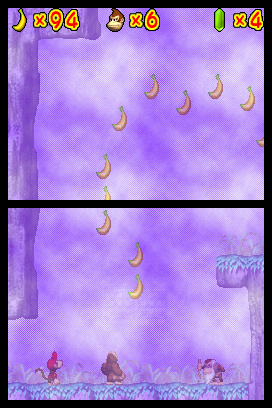 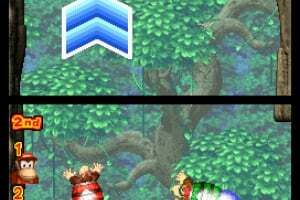 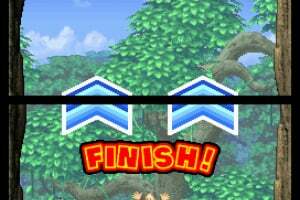 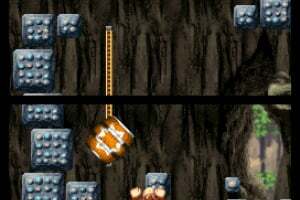 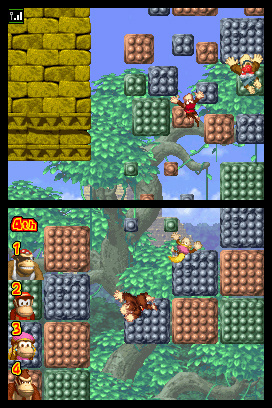 Using the same simple control scheme that made the DK: King of Swing Game Boy Advance SP game so accessible and fun to play, players of all skill levels can swing and climb to new heights made possible by the dual screens of Nintendo DS. 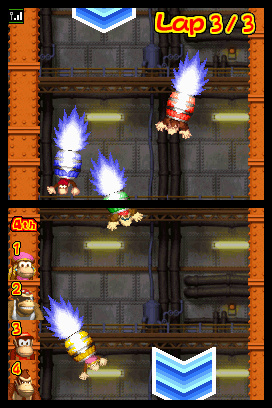 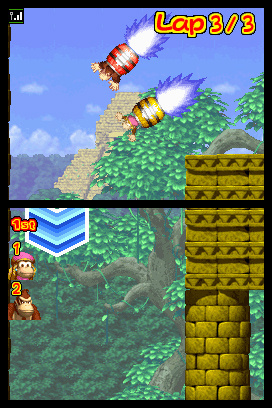 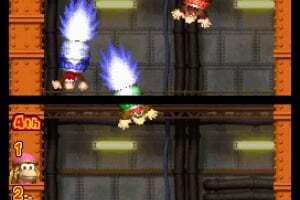 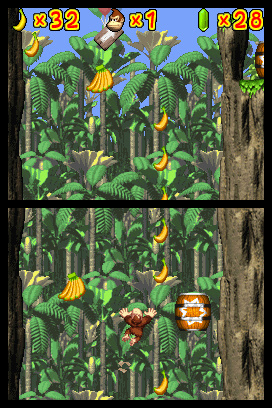 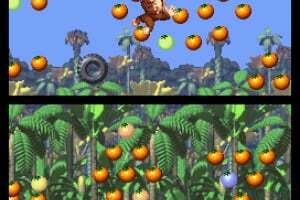 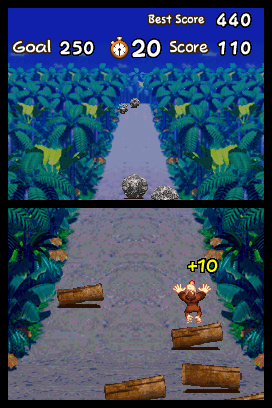 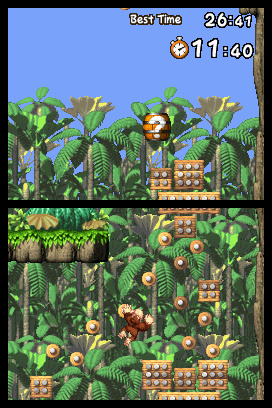 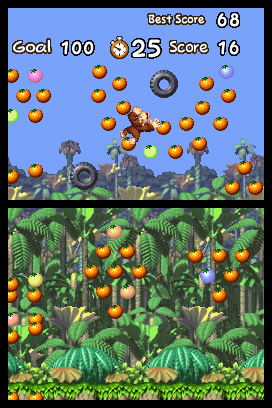 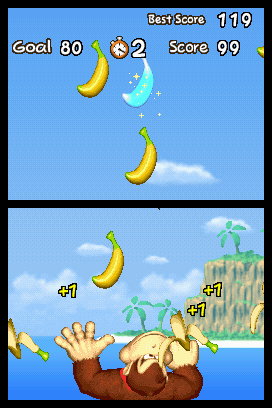 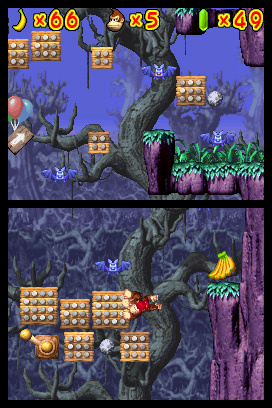 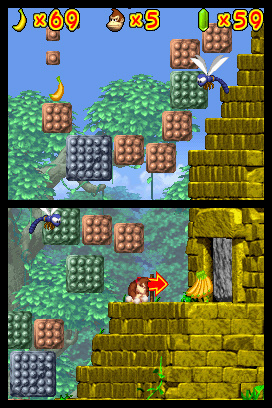 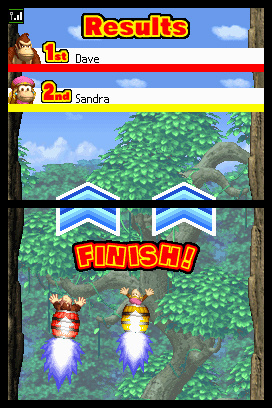 Not only does Adventure mode feature Diddy Kong as a sub-character, but players can look forward to new moves, new items and a bunch of mini-games sure to make them go bananas. 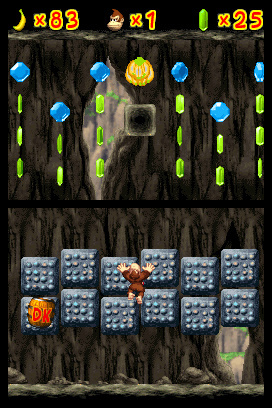 Not only that, but fun tutorials that ease new players into the game also can be accessed as mini-game challenges. 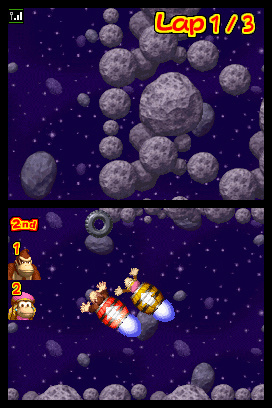 If players are more in the mood to rumble, they can take on up to three pals in fun multiplayer challenges using DS Download Play and the DS Local Area Network. 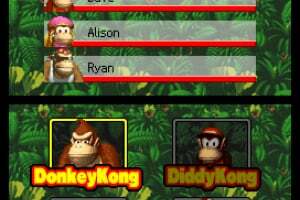 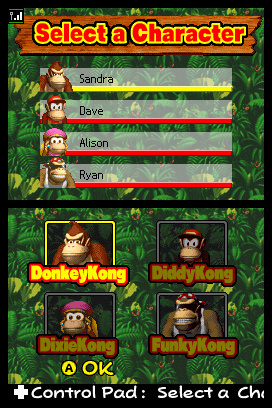 They can pick from Donkey Kong, Diddy Kong, Dixie Kong or Funky Kong, and let the monkey business begin. 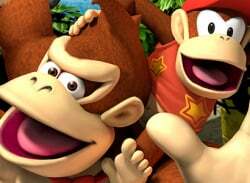 After 3 years, I'm still the first commenter. 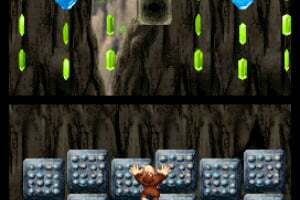 I tried my friend's copy, and it's great! 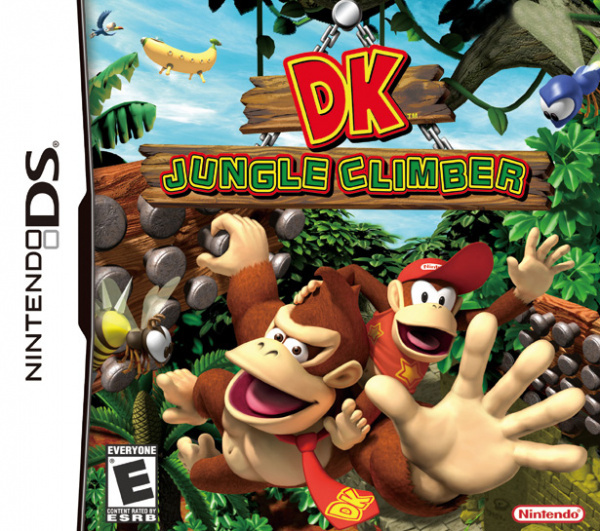 This was the first DS game I EVER played, albeit it wasn't my DS, and it wasn't actually a game. 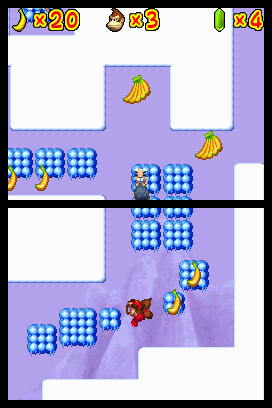 Just a demo in the Walmart game section for the original DS PHAT. 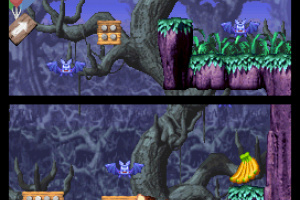 I need to get this, so much nostalgia.